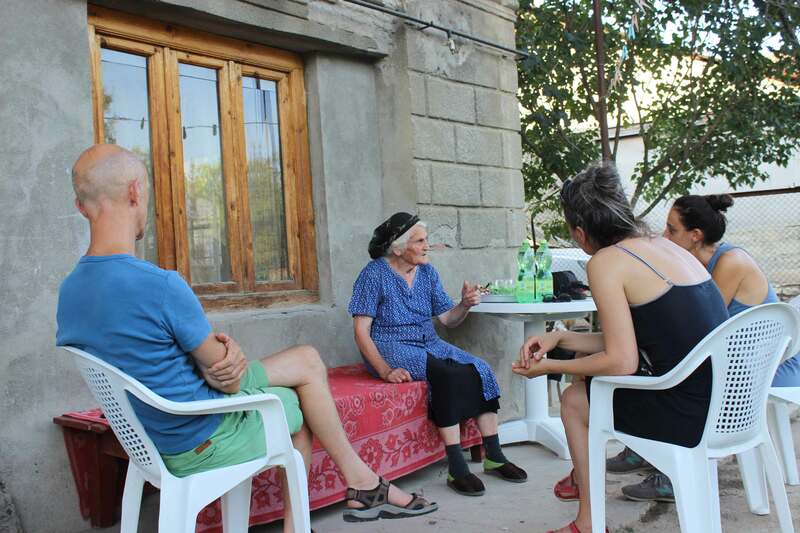 WWW is a project that focused on the narratives of women from smaller communities in Georgia. Since the end of the Soviet Union and start of Georgia’s independence, we have seen a general development of greater personal freedom. Simultaneously we can see a revival of conservative family values that are strongly promoted by the Georgian Orthodox church, a nostalgic revisionist longing for the “good old days” of the Soviet Union, and more specific to the era of Stalin who has today an almost religious iconic place for some people. In many parts of Georgian society, and inside the Georgian Orthodox church, the voices of women are much less heard than the voices of men. There are different expectations towards girls and women than towards boys and men and this seems even stronger in the more rural regions of Georgia. 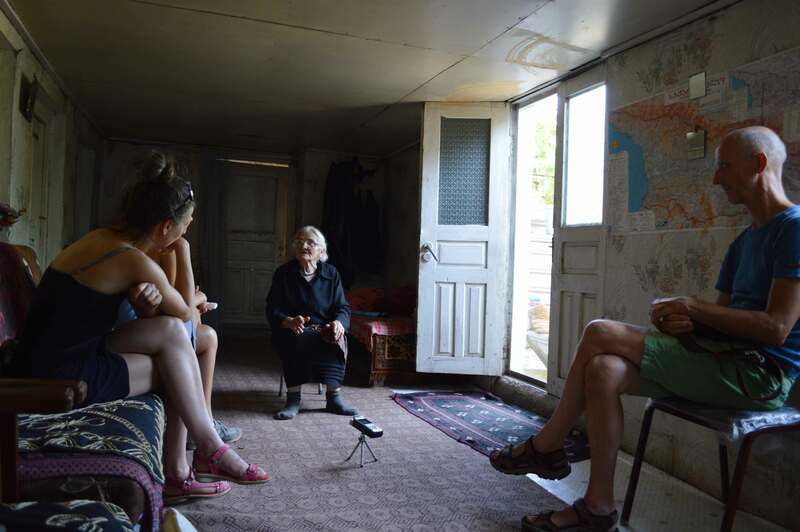 During the project we conducted a series of interviews with women from Alvani and Tusheti. By choosing to interview women from different generations we hoped to hear how the perspectives and expectations of these women towards their lives changed over the years. 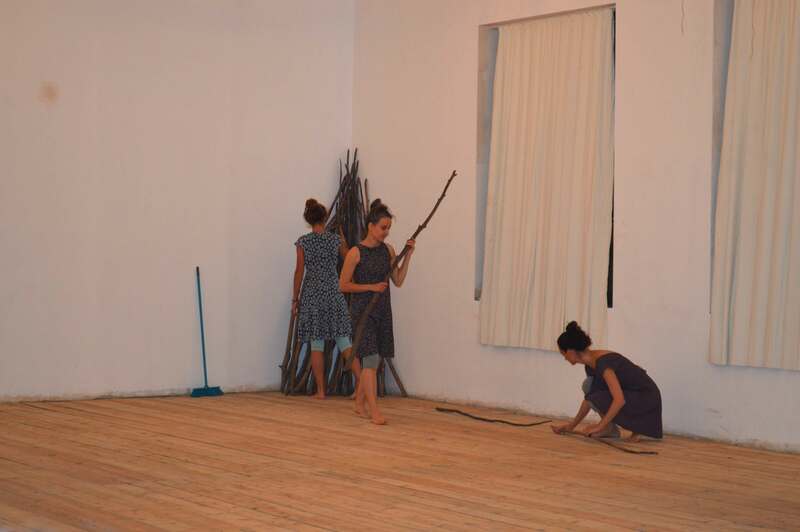 With the material of the interviews and our own impressions, we created a presentation/performance ‘The Road’ that was shown for a local audience and during the MitOst festival in Tbilisi for an international and local audience. 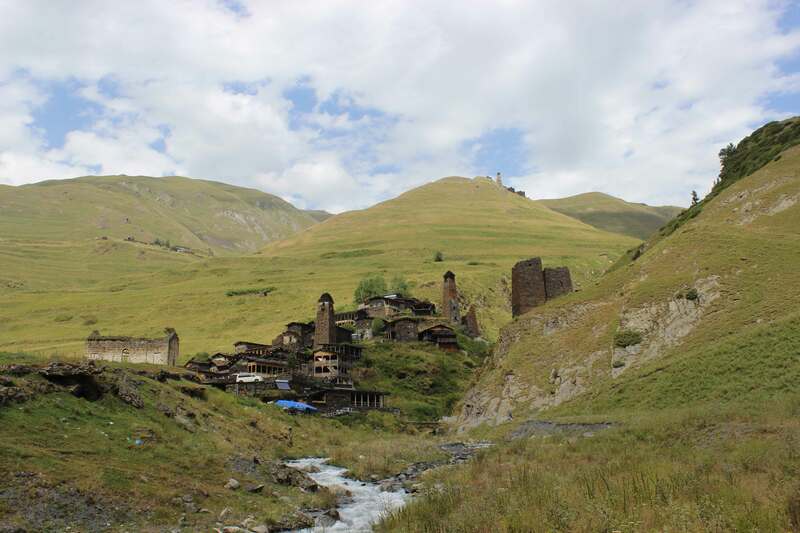 Driving up the road from Pshaveli to Tusheti was like an initiation rite to enter a distant remote world. These 72 km along deep ravines and steep slopes took us to a most beautiful landscape and its people. Spending a week in these mountains, visiting many of the villages and houses and listening to many stories of Tush women has left a tremendous impact on me. 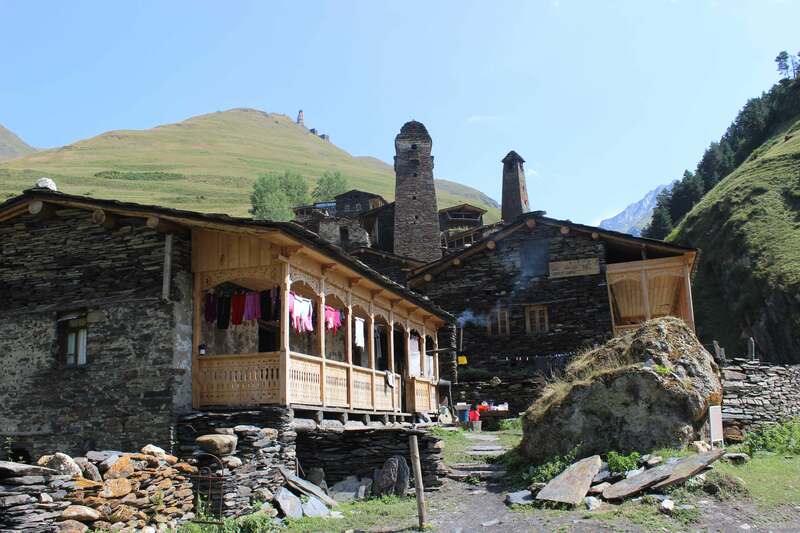 We came to Tusheti to interview women from different generations that live here, either permanently or only during the summer season. 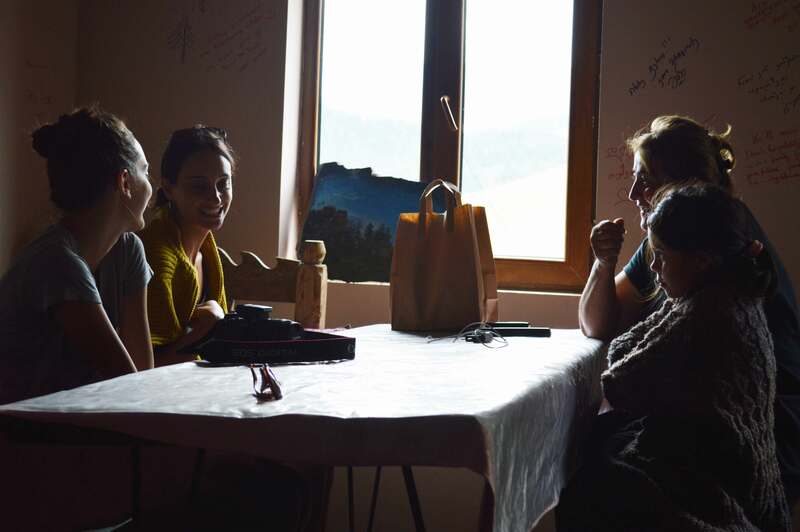 We were interested about their perspectives on their lives, to share with us their lost or realised dreams and how they see the future of this still relatively isolated region. The interviews we collected became the source material of the performance. 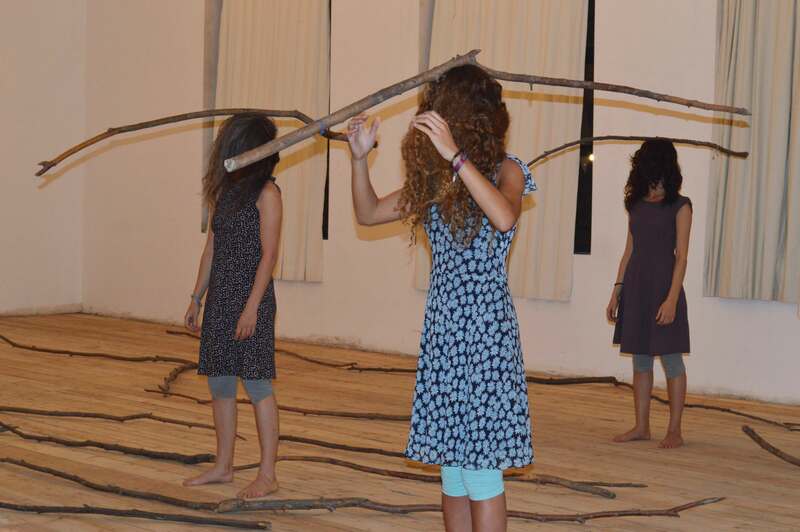 A performance that could be read as a journey through the landscape and stories of women from Tusheti..
Music created and performed by: Mari Khachidze. 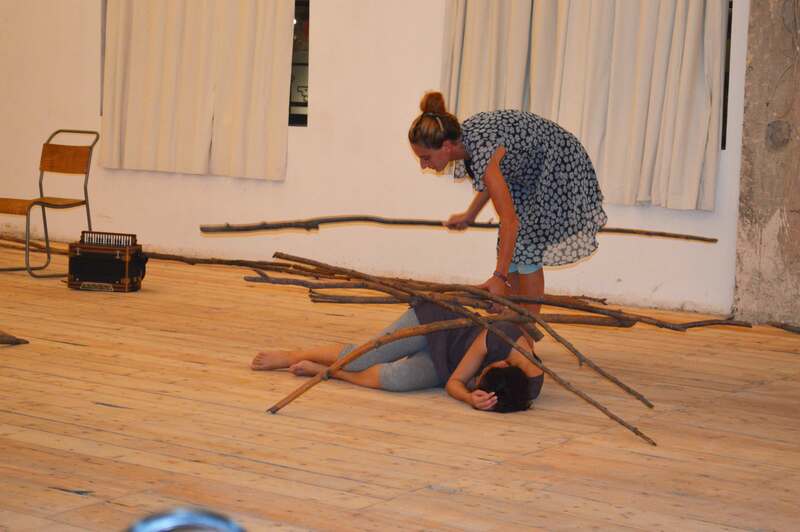 The Road is created in close collaboration with the performers. Produced by LAVA-Dansproduktion and Tushuri Brand.